Born on the island of Sardinia in the Mediterranean Sea, Silvia Bertocchi is an award winning multifaceted artist and active actress, writer, dancer and painter. Like Silvia, her collection of paintings is visionary. Each work tells a story of a surreal world, drawing inspiration from the strangeness of everyday life. Silvia loves to mix techniques and materials developing her work on canvas and wood. While Silvia is well connected in the artistic scene throughout Europe, Sardinia is her point of reference and constant source of inspiration, and is where she is able to express herself and paint. 25% of all proceeds from Silvias's inspiring work is donated to the Italian non-profit Parada. Lvon Yoder is a talented artist with an inspiring story. "I had experimented with abstract painting, after seeing the completed work I knew creating was something i absolutely had to pursue. Having severe arthritis makes a normal life very difficult, why not work around my pain? By being limited it makes me be able to focus on art a lot easier. I'm not saying my art healed me but it does make me wake up with a positive outlook everyday." 25% of all proceeds from Lvon's inspiring work is donated to the Arthritis Foundation. Liz Comer is a developing artist from Boise, Idaho. She studied fine art and design at the University of Idaho. There she developed her collection “Refining Movement,” a study of non-verbal communication through gestural painting. Using ballet dancers and sport horses, Liz merges the contrasting themes of power and grace, strength and beauty. This has unveiled her latest focus in the strength in femininity. “We as women battle an intricate line of vigor and delicacy, and I like to explore the things that make women feel strong and bold and powerful, which seems to be so often found in the most elusive places." Liz hopes to use this collection to empower the women who may need it most by donating proceeds of all work to the Women and Children's Alliance. 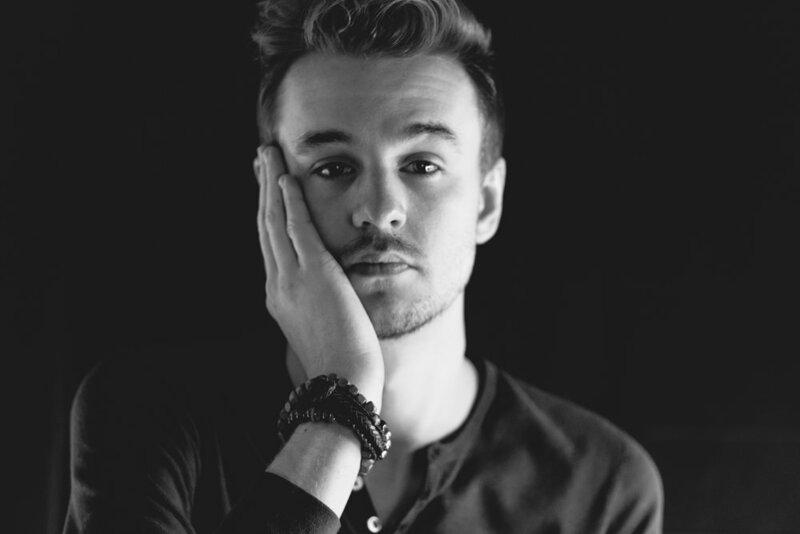 Jacob Sternberg is a multi-talented artist specializing in photography, design and sound engineering. His work often features darker tones of texture, that evoke emotion and entice the eye to stare. The only thing that rivals Jacob’s talent is his generosity — offering a collection of his coveted work to be sold with us for charity. Jacob has graciously allowed the customer to choose the charity they'd like to donate to when his work is purchased. Diana Taylor-Basilio was introduced to the world of art as a toddler by her grand aunt who was also an artist, and later continued to pursue studying painting. She enjoys exploring new techniques, always experimenting and pushing boundaries, the excitement of a new creation spilling on to the canvas. She works in various mediums however her favoured medium is acrylics and her signature style is paintings created using Gold Metal Leaf. She currently resides in the Essex with her husband, three dogs and two cats but grew up in Sri Lanka. Her favourite charities are those that support the fight against cancer, helping children in need and animal rescues. Through his lens, John Connor is able to make everyday occurrences powerful moments. His photography is dark, urban, interesting and unexpected. His use of technology, including a drone, gives his photography an omniscient perspective of landscapes and subject matters. We are thankful to have a collection of his work available on Charity Canvas. John Connor has graciously allowed the customer to choose the charity they'd like to donate to when his work is purchased. Born in 1952, Gloria Keh began painting as a child, her first teacher being her late father, the oil painter, Martin Fu. As an adult, she studied mandala art and symbolism in Melbourne, Australia, and undertook a short course in art therapy in Singapore. In 2008, Gloria founded Circles of Love, an art-based charity outreach program, using her art in the service to humanity. She facilitates courses and workshops on mandala art as well as on art journaling. Her works have been acquired by collectors in Singapore, Malaysia, India, Sri Lanka, Australia, the United Kingdom, Switzerland, and Italy. She has exhibited in Singapore, Malaysia, Australia and India.